Mentoring sessions range from 30-60 minutes and occur on a school campus near your home or workplace, during lunch. The days and times of mentoring sessions are arranged between the mentor and mentee depending on their individual schedules and classes. As a result, mentoring is convenient for both students and mentors. Take Stock in Children mentors learn the principles and guidelines of school-based, academic-focused mentoring. They participate in an orientation session and receive a manual that contains tools for addressing the general needs of their students: improving grades, preparing for college, career planning, and developing life skills. Complete the Take Stock in Children mentor application Download File (Mentor Application fillable2.pdf) then mail or deliver to FUTURES TSIC at 3750 Olson DR, Daytona Beach, FL 32124. 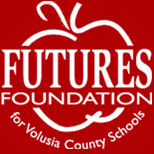 Please also complete the online Volusia County Schools VIPS (Volunteers in Public Schools) form - https://apps.raptorware.com/vsoft/kiosk/volunteerregistration?clientId=c556628d-1b14-4ef1-99a0-6fc318d172b1. 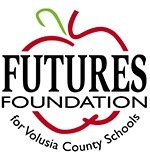 You also will visit any school to have your official identification scanned into the Volusia County School system. Once your Take Stock in Children mentor application is received, a mentor training session will be scheduled. A background check will be completed with the Florida Department of Law Enforcement. After the mentor training and background check have been completed, you will be paired with a Take Stock in Children scholar.